4150701 PC01-1A KOMATSU PC01-1A Crawler mini-excavator "PC 01" series. Spare Parts Catalog. Service (workshop) Manual. Operator's Instruction Manual. 4150703 PC02-1 KOMATSU PC02-1 Crawler mini-excavator "PC 02" series. Spare Parts Catalog. Service (workshop) Manual. Operator's Instruction Manual. 4150704 PC02-1A KOMATSU PC02-1A Crawler mini-excavator "PC 02" series. Spare Parts Catalog. Service (workshop) Manual. Operator's Instruction Manual. 4150706 PC03-1 KOMATSU PC03-1 Crawler mini-excavator "PC 03" series. Spare Parts Catalog. Service (workshop) Manual. Operator's Instruction Manual. 4150707 PC03-2 KOMATSU PC03-2 Crawler mini-excavator "PC 03" series. Spare Parts Catalog. Service (workshop) Manual. Operator's Instruction Manual. 4150709 PC04-1 KOMATSU PC04-1 Crawler mini-excavator "PC 04" series. Spare Parts Catalog. Service (workshop) Manual. Operator's Instruction Manual. 4150711 PC05 AvanceR KOMATSU PC05 AvanceR Crawler mini-excavator "PC 05" series. Spare Parts Catalog. Service (workshop) Manual. Operator's Instruction Manual. 4150712 PC05-1 KOMATSU PC05-1 Crawler mini-excavator "PC 05" series. Spare Parts Catalog. Service (workshop) Manual. Operator's Instruction Manual. 4150713 PC05-1A KOMATSU PC05-1A Crawler mini-excavator "PC 05" series. Spare Parts Catalog. Service (workshop) Manual. Operator's Instruction Manual. 4150714 PC05-5 KOMATSU PC05-5 Crawler mini-excavator "PC 05" series. Spare Parts Catalog. Service (workshop) Manual. Operator's Instruction Manual. 4150715 PC05-6 KOMATSU PC05-6 Crawler mini-excavator "PC 05" series. Spare Parts Catalog. Service (workshop) Manual. Operator's Instruction Manual. 4150716 PC05-7 KOMATSU PC05-7 Crawler mini-excavator "PC 05" series. Spare Parts Catalog. Service (workshop) Manual. Operator's Instruction Manual. 4150718 PC07-1 KOMATSU PC07-1 Crawler mini-excavator "PC 07" series. Spare Parts Catalog. Service (workshop) Manual. Operator's Instruction Manual. 4150719 PC07-2 KOMATSU PC07-2 Crawler mini-excavator "PC 07" series. Spare Parts Catalog. Service (workshop) Manual. Operator's Instruction Manual. 4150720 PC07FR-1 KOMATSU PC07FR-1 Crawler mini-excavator "PC 07" series. Spare Parts Catalog. Service (workshop) Manual. Operator's Instruction Manual. 4150722 PC08-1 KOMATSU PC08-1 Crawler mini-excavator "PC 08" series. Spare Parts Catalog. Service (workshop) Manual. Operator's Instruction Manual. 4150723 PC08UU-1 KOMATSU PC08UU-1 Crawler mini-excavator "PC 08" series. Spare Parts Catalog. Service (workshop) Manual. Operator's Instruction Manual. 4150725 PC09-1 KOMATSU PC09-1 Crawler mini-excavator "PC 09" series. Spare Parts Catalog. Service (workshop) Manual. Operator's Instruction Manual. 4150726 PC09FR-1 KOMATSU PC09FR-1 Crawler mini-excavator "PC 09" series. Spare Parts Catalog. Service (workshop) Manual. Operator's Instruction Manual. 4150728 PC10 AvanceR KOMATSU PC10 AvanceR Crawler mini-excavator "PC 10" series. Spare Parts Catalog. Service (workshop) Manual. Operator's Instruction Manual. 4150729 PC10-1 KOMATSU PC10-1 Crawler mini-excavator "PC 10" series. Spare Parts Catalog. Service (workshop) Manual. Operator's Instruction Manual. 4150730 PC10-2 KOMATSU PC10-2 Crawler mini-excavator "PC 10" series. Spare Parts Catalog. Service (workshop) Manual. Operator's Instruction Manual. 4150731 PC10-3 KOMATSU PC10-3 Crawler mini-excavator "PC 10" series. Spare Parts Catalog. Service (workshop) Manual. Operator's Instruction Manual. 4150732 PC10-5 KOMATSU PC10-5 Crawler mini-excavator "PC 10" series. Spare Parts Catalog. Service (workshop) Manual. Operator's Instruction Manual. 4150733 PC10-6 KOMATSU PC10-6 Crawler mini-excavator "PC 10" series. Spare Parts Catalog. Service (workshop) Manual. Operator's Instruction Manual. 4150734 PC10-7 KOMATSU PC10-7 Crawler mini-excavator "PC 10" series. Spare Parts Catalog. Service (workshop) Manual. Operator's Instruction Manual. 4150735 PC10FR-1 KOMATSU PC10FR-1 Crawler mini-excavator "PC 10" series. Spare Parts Catalog. Service (workshop) Manual. Operator's Instruction Manual. 4150736 PC10MR-1 KOMATSU PC10MR-1 Crawler mini-excavator "PC 10" series. Spare Parts Catalog. Service (workshop) Manual. Operator's Instruction Manual. 4150737 PC10MR-2 KOMATSU PC10MR-2 Crawler mini-excavator "PC 10" series. Spare Parts Catalog. Service (workshop) Manual. Operator's Instruction Manual. 4150738 PC10N-7 KOMATSU PC10N-7 Crawler mini-excavator "PC 10" series. Spare Parts Catalog. Service (workshop) Manual. Operator's Instruction Manual. 4150739 PC10UU-3 KOMATSU PC10UU-3 Crawler mini-excavator "PC 10" series. Spare Parts Catalog. Service (workshop) Manual. Operator's Instruction Manual. 4150740 PC10UU-5 KOMATSU PC10UU-5 Crawler mini-excavator "PC 10" series. Spare Parts Catalog. Service (workshop) Manual. Operator's Instruction Manual. 4150742 PC12-1A KOMATSU PC12-1A Crawler mini-excavator "PC 12" series. Spare Parts Catalog. Service (workshop) Manual. Operator's Instruction Manual. 4150743 PC12R-8 KOMATSU PC12R-8 Crawler mini-excavator "PC 12" series. Spare Parts Catalog. Service (workshop) Manual. Operator's Instruction Manual. 4150744 PC12UU-1 KOMATSU PC12UU-1 Crawler mini-excavator "PC 12" series. Spare Parts Catalog. Service (workshop) Manual. Operator's Instruction Manual. 4150745 PC12UU-2 KOMATSU PC12UU-2 Crawler mini-excavator "PC 12" series. Spare Parts Catalog. Service (workshop) Manual. Operator's Instruction Manual. 4150747 PC14R-2 KOMATSU PC14R-2 Crawler mini-excavator "PC 14" series. Spare Parts Catalog. Service (workshop) Manual. Operator's Instruction Manual. 4150748 PC14R-3 KOMATSU PC14R-3 Crawler mini-excavator "PC 14" series. Spare Parts Catalog. Service (workshop) Manual. Operator's Instruction Manual. 4150750 PC15-1 KOMATSU PC15-1 Crawler mini-excavator "PC 15" series. Spare Parts Catalog. Service (workshop) Manual. Operator's Instruction Manual. 4150751 PC15-2 KOMATSU PC15-2 Crawler mini-excavator "PC 15" series. Spare Parts Catalog. Service (workshop) Manual. Operator's Instruction Manual. 4150752 PC15-3 KOMATSU PC15-3 Crawler mini-excavator "PC 15" series. Spare Parts Catalog. Service (workshop) Manual. Operator's Instruction Manual. 4150753 PC15FR-1 KOMATSU PC15FR-1 Crawler mini-excavator "PC 15" series. Spare Parts Catalog. Service (workshop) Manual. Operator's Instruction Manual. 4150754 PC15MR-1 KOMATSU PC15MR-1 Crawler mini-excavator "PC 15" series. Spare Parts Catalog. Service (workshop) Manual. Operator's Instruction Manual. 4150755 PC15MRX-1 KOMATSU PC15MRX-1 Crawler mini-excavator "PC 15" series. Spare Parts Catalog. Service (workshop) Manual. Operator's Instruction Manual. 4150756 PC15R-8 KOMATSU PC15R-8 Crawler mini-excavator "PC 15" series. Spare Parts Catalog. Service (workshop) Manual. Operator's Instruction Manual. 4150757 PC15T-2 KOMATSU PC15T-2 Crawler mini-excavator "PC 15" series. Spare Parts Catalog. Service (workshop) Manual. Operator's Instruction Manual. 4150759 PC16R-2 KOMATSU PC16R-2 Crawler mini-excavator "PC 16" series. Spare Parts Catalog. Service (workshop) Manual. Operator's Instruction Manual. 4150761 PC18MR-2 KOMATSU PC18MR-2 Crawler mini-excavator "PC 18" series. Spare Parts Catalog. Service (workshop) Manual. Operator's Instruction Manual. 4150762 PC18MR-3 KOMATSU PC18MR-3 Crawler mini-excavator "PC 18" series. Spare Parts Catalog. Service (workshop) Manual. Operator's Instruction Manual. 4150764 PC20-1 KOMATSU PC20-1 Crawler mini-excavator "PC 20" series. Spare Parts Catalog. Service (workshop) Manual. Operator's Instruction Manual. 4150765 PC20-2 KOMATSU PC20-2 Crawler mini-excavator "PC 20" series. Spare Parts Catalog. Service (workshop) Manual. Operator's Instruction Manual. 4150766 PC20-3 KOMATSU PC20-3 Crawler mini-excavator "PC 20" series. Spare Parts Catalog. Service (workshop) Manual. Operator's Instruction Manual. 4150767 PC20-5 KOMATSU PC20-5 Crawler mini-excavator "PC 20" series. Spare Parts Catalog. Service (workshop) Manual. Operator's Instruction Manual. 4150768 PC20-6 KOMATSU PC20-6 Crawler mini-excavator "PC 20" series. Spare Parts Catalog. Service (workshop) Manual. Operator's Instruction Manual. 4150769 PC20-7 KOMATSU PC20-7 Crawler mini-excavator "PC 20" series. Spare Parts Catalog. Service (workshop) Manual. Operator's Instruction Manual. 4150770 PC20FR-1 KOMATSU PC20FR-1 Crawler mini-excavator "PC 20" series. Spare Parts Catalog. Service (workshop) Manual. Operator's Instruction Manual. 4150771 PC20FR-2 KOMATSU PC20FR-2 Crawler mini-excavator "PC 20" series. Spare Parts Catalog. Service (workshop) Manual. Operator's Instruction Manual. 4150772 PC20MR-1 KOMATSU PC20MR-1 Crawler mini-excavator "PC 20" series. Spare Parts Catalog. Service (workshop) Manual. Operator's Instruction Manual. 4150773 PC20MR-2 KOMATSU PC20MR-2 Crawler mini-excavator "PC 20" series. Spare Parts Catalog. Service (workshop) Manual. Operator's Instruction Manual. 4150774 PC20MR-3 KOMATSU PC20MR-3 Crawler mini-excavator "PC 20" series. Spare Parts Catalog. Service (workshop) Manual. Operator's Instruction Manual. 4150775 PC20MRX-1 KOMATSU PC20MRX-1 Crawler mini-excavator "PC 20" series. Spare Parts Catalog. Service (workshop) Manual. Operator's Instruction Manual. 4150776 PC20R-8 KOMATSU PC20R-8 Crawler mini-excavator "PC 20" series. Spare Parts Catalog. Service (workshop) Manual. Operator's Instruction Manual. 4150777 PC20UU-3 KOMATSU PC20UU-3 Crawler mini-excavator "PC 20" series. Spare Parts Catalog. Service (workshop) Manual. Operator's Instruction Manual. 4150778 PC20UU-5 KOMATSU PC20UU-5 Crawler mini-excavator "PC 20" series. Spare Parts Catalog. Service (workshop) Manual. Operator's Instruction Manual. 4150780 PC22MR-3 KOMATSU PC22MR-3 Crawler mini-excavator "PC 22" series. Spare Parts Catalog. Service (workshop) Manual. Operator's Instruction Manual. 4150782 PC25 AvanceR KOMATSU PC25 AvanceR Crawler mini-excavator "PC 25" series. Spare Parts Catalog. Service (workshop) Manual. Operator's Instruction Manual. 4150783 PC25-1 KOMATSU PC25-1 Crawler mini-excavator "PC 25" series. Spare Parts Catalog. Service (workshop) Manual. Operator's Instruction Manual. 4150784 PC25R-8 KOMATSU PC25R-8 Crawler mini-excavator "PC 25" series. Spare Parts Catalog. Service (workshop) Manual. Operator's Instruction Manual. 4150786 PC26MR-3 KOMATSU PC26MR-3 Crawler mini-excavator "PC 26" series. Spare Parts Catalog. Service (workshop) Manual. Operator's Instruction Manual. 4150788 PC27MR-1 KOMATSU PC27MR-1 Crawler mini-excavator "PC 27" series. Spare Parts Catalog. Service (workshop) Manual. Operator's Instruction Manual. 4150789 PC27MR-2 KOMATSU PC27MR-2 Crawler mini-excavator "PC 27" series. Spare Parts Catalog. Service (workshop) Manual. Operator's Instruction Manual. 4150790 PC27MR-3 KOMATSU PC27MR-3 Crawler mini-excavator "PC 27" series. Spare Parts Catalog. Service (workshop) Manual. Operator's Instruction Manual. 4150791 PC27MRX-1 KOMATSU PC27MRX-1 Crawler mini-excavator "PC 27" series. Spare Parts Catalog. Service (workshop) Manual. Operator's Instruction Manual. 4150792 PC27MRX-2 KOMATSU PC27MRX-2 Crawler mini-excavator "PC 27" series. Spare Parts Catalog. Service (workshop) Manual. Operator's Instruction Manual. 4150793 PC27R-8 KOMATSU PC27R-8 Crawler mini-excavator "PC 27" series. Spare Parts Catalog. Service (workshop) Manual. Operator's Instruction Manual. 4150794 PC27R-8 DELUXE KOMATSU PC27R-8 DELUXE Crawler mini-excavator "PC 27" series. Spare Parts Catalog. Service (workshop) Manual. Operator's Instruction Manual. 4150796 PC28UD-2 KOMATSU PC28UD-2 Crawler mini-excavator "PC 28" series. Spare Parts Catalog. Service (workshop) Manual. Operator's Instruction Manual. 4150797 PC28UG-2 KOMATSU PC28UG-2 Crawler mini-excavator "PC 28" series. Spare Parts Catalog. Service (workshop) Manual. Operator's Instruction Manual. 4150798 PC28UU-1 KOMATSU PC28UU-1 Crawler mini-excavator "PC 28" series. Spare Parts Catalog. Service (workshop) Manual. Operator's Instruction Manual. 4150799 PC28UU-2 KOMATSU PC28UU-2 Crawler mini-excavator "PC 28" series. Spare Parts Catalog. Service (workshop) Manual. Operator's Instruction Manual. 4150800 PC28UU-3 KOMATSU PC28UU-3 Crawler mini-excavator "PC 28" series. Spare Parts Catalog. Service (workshop) Manual. Operator's Instruction Manual. 4150802 PC30-1 KOMATSU PC30-1 Crawler mini-excavator "PC 30" series. Spare Parts Catalog. Service (workshop) Manual. Operator's Instruction Manual. 4150803 PC30-3 KOMATSU PC30-3 Crawler mini-excavator "PC 30" series. Spare Parts Catalog. Service (workshop) Manual. Operator's Instruction Manual. 4150804 PC30-5 KOMATSU PC30-5 Crawler mini-excavator "PC 30" series. Spare Parts Catalog. Service (workshop) Manual. Operator's Instruction Manual. 4150805 PC30-6 KOMATSU PC30-6 Crawler mini-excavator "PC 30" series. Spare Parts Catalog. Service (workshop) Manual. Operator's Instruction Manual. 4150806 PC30-7 KOMATSU PC30-7 Crawler mini-excavator "PC 30" series. Spare Parts Catalog. Service (workshop) Manual. Operator's Instruction Manual. 4150807 PC30FR-1 KOMATSU PC30FR-1 Crawler mini-excavator "PC 30" series. Spare Parts Catalog. Service (workshop) Manual. Operator's Instruction Manual. 4150808 PC30FR-2 KOMATSU PC30FR-2 Crawler mini-excavator "PC 30" series. Spare Parts Catalog. Service (workshop) Manual. Operator's Instruction Manual. 4150809 PC30MR-1 KOMATSU PC30MR-1 Crawler mini-excavator "PC 30" series. Spare Parts Catalog. Service (workshop) Manual. Operator's Instruction Manual. 4150810 PC30MR-2 KOMATSU PC30MR-2 Crawler mini-excavator "PC 30" series. Spare Parts Catalog. Service (workshop) Manual. Operator's Instruction Manual. 4150811 PC30MR-3 KOMATSU PC30MR-3 Crawler mini-excavator "PC 30" series. Spare Parts Catalog. Service (workshop) Manual. Operator's Instruction Manual. 4150812 PC30MRX-1 KOMATSU PC30MRX-1 Crawler mini-excavator "PC 30" series. Spare Parts Catalog. Service (workshop) Manual. Operator's Instruction Manual. 4150813 PC30R-7 KOMATSU PC30R-7 Crawler mini-excavator "PC 30" series. Spare Parts Catalog. Service (workshop) Manual. Operator's Instruction Manual. 4150814 PC30R-8 KOMATSU PC30R-8 Crawler mini-excavator "PC 30" series. Spare Parts Catalog. Service (workshop) Manual. Operator's Instruction Manual. 4150815 PC30UU-3 KOMATSU PC30UU-3 Crawler mini-excavator "PC 30" series. Spare Parts Catalog. Service (workshop) Manual. Operator's Instruction Manual. 4150816 PC30UU-5 KOMATSU PC30UU-5 Crawler mini-excavator "PC 30" series. Spare Parts Catalog. Service (workshop) Manual. Operator's Instruction Manual. 4150818 PC35MR-1 KOMATSU PC35MR-1 Crawler mini-excavator "PC 35" series. Spare Parts Catalog. Service (workshop) Manual. Operator's Instruction Manual. 4150819 PC35MR-2 KOMATSU PC35MR-2 Crawler mini-excavator "PC 35" series. Spare Parts Catalog. Service (workshop) Manual. Operator's Instruction Manual. 4150820 PC35MR-3 KOMATSU PC35MR-3 Crawler mini-excavator "PC 35" series. Spare Parts Catalog. Service (workshop) Manual. Operator's Instruction Manual. 4150821 PC35MR-X1 KOMATSU PC35MR-X1 Crawler mini-excavator "PC 35" series. Spare Parts Catalog. Service (workshop) Manual. Operator's Instruction Manual. 4150822 PC35MRX-2 KOMATSU PC35MRX-2 Crawler mini-excavator "PC 35" series. Spare Parts Catalog. Service (workshop) Manual. Operator's Instruction Manual. 4150823 PC35R-8 KOMATSU PC35R-8 Crawler mini-excavator "PC 35" series. Spare Parts Catalog. Service (workshop) Manual. Operator's Instruction Manual. 4150824 PC35R-8 DELUXE KOMATSU PC35R-8 DELUXE Crawler mini-excavator "PC 35" series. Spare Parts Catalog. Service (workshop) Manual. Operator's Instruction Manual. 4150826 PC38UU-1 KOMATSU PC38UU-1 Crawler mini-excavator "PC 38" series. Spare Parts Catalog. Service (workshop) Manual. Operator's Instruction Manual. 4150827 PC38UU-2 KOMATSU PC38UU-2 Crawler mini-excavator "PC 38" series. Spare Parts Catalog. Service (workshop) Manual. Operator's Instruction Manual. 4150828 PC38UU-3 KOMATSU PC38UU-3 Crawler mini-excavator "PC 38" series. Spare Parts Catalog. Service (workshop) Manual. Operator's Instruction Manual. 4150829 PC38UU-5 KOMATSU PC38UU-5 Crawler mini-excavator "PC 38" series. Spare Parts Catalog. Service (workshop) Manual. Operator's Instruction Manual. 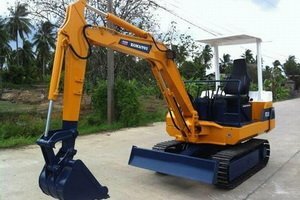 4150830 PC38UUM-2 KOMATSU PC38UUM-2 Crawler mini-excavator "PC 38" series. Spare Parts Catalog. Service (workshop) Manual. Operator's Instruction Manual.